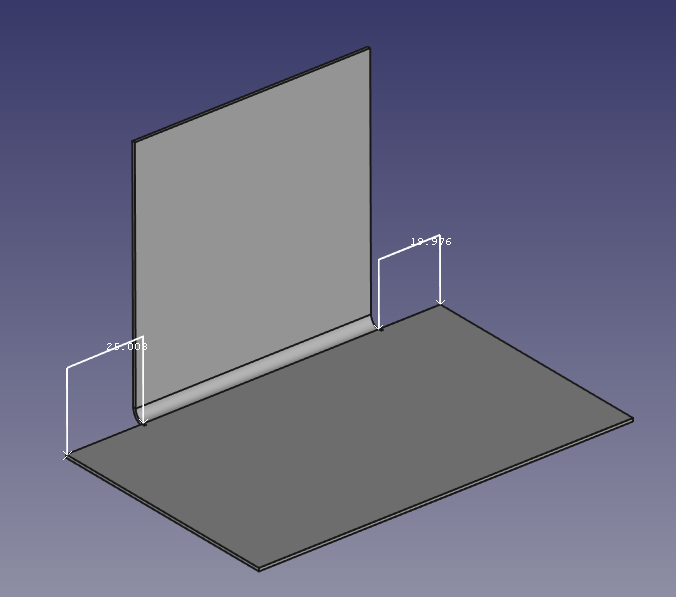 Linux for an engineer: FreeCAD: Sheet metal tool "Add Wall"
whether I select a face beforehand or not. What could be the problem? first I want to thank you for your great work! The script is awesome and makes FreeCAD much more useable for me. But I would like to know why the extrusion altitude is set to the edge length of the exisiting sheet, this makes it a little more work. I added a new argument "manExtLength" to your script and replaced edge.Length for it, to set the extrusion length manually. Also, is it possible to add an reducing angle (like if you bend non-rectangular sheets?)? Maybe it could be an boolean, to determine if L1 and L2 are the wideness of an notch (like in your script) or a slant? Thanks again and kind greetings. PS: Please excuse if my english is bad. 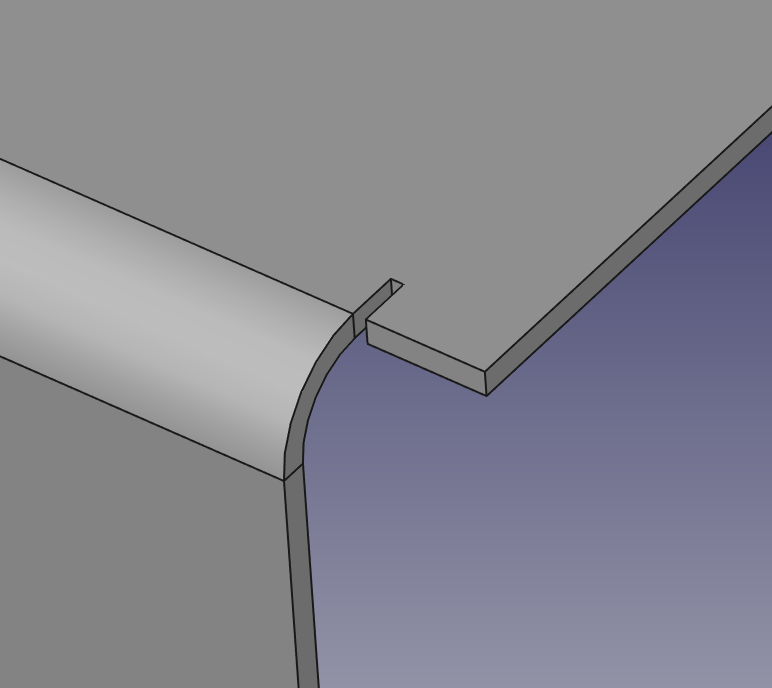 1- The extrusion is limited to the edge length because it was the most neutral, less error prone measure that I could thought. Appart from this, there is no other reason for it. 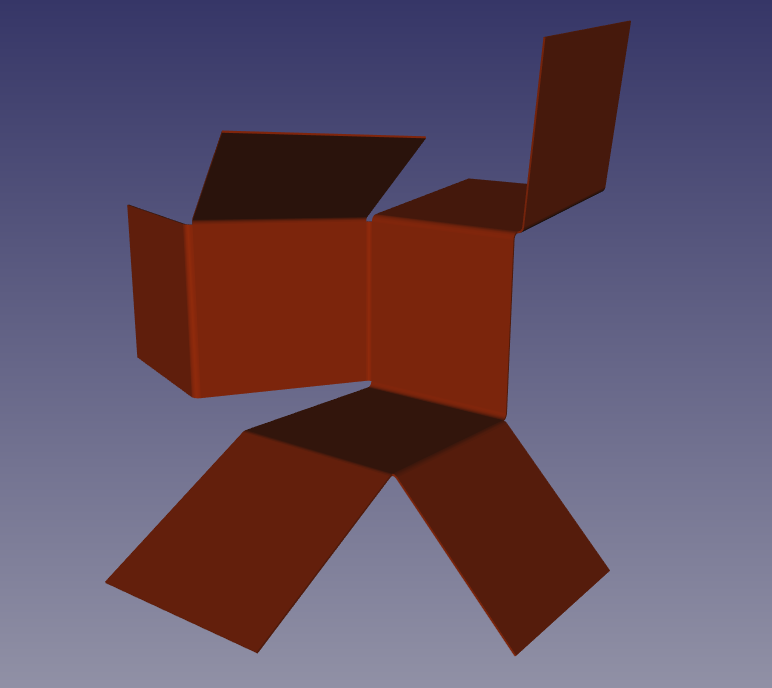 There is a more advanced-complex addWall tool that allows you to build directly the face using an sketch, instead of modifiying a rectangular one (The shape on the linked picture is made with it) This new version has also an option to place the bend inside/outside the original edge, plus the current AddWall tool features. The problem is that is very buggy, but I may post it one day if I decide to continue with its development.